0 to 62mph. OFFICIAL. 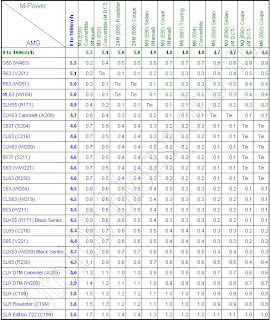 : 2012 Mercedes SLK (R172) Hits the Streets of the U.S.
2012 Mercedes SLK (R172) Hits the Streets of the U.S. 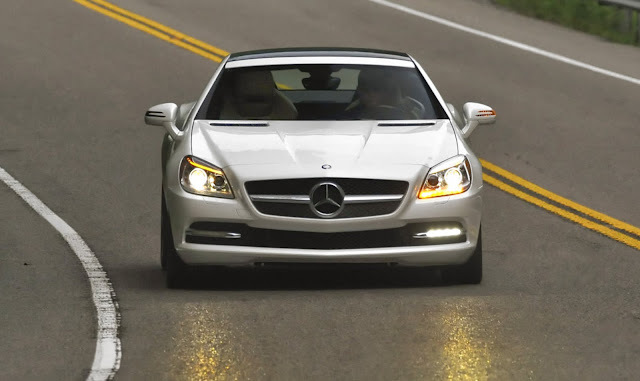 The First 2012 SLK Coupe/Roadsters Arrive in the U.S.
WALLAND, TN - The very first new-generation 2012 Mercedes-Benz SLK coupe/roadsters are arriving in the U.S. The 2012 SLK represents the third generation of a sports car that rocked the automotive world when it unveiled the first automatic retractable hardtop in modern times. The new SLK boasts a wide SLS AMG-inspired front grille with a long hood as well as relatively wide doors and a short rear section. The SLK convertible is available in U.S. showrooms this month with a suggested retail price starting at $54,800 (excluding D&D). The 2012 SLK line debuts with the SLK350 model, powered by a new 3.5-liter V6 engine that features direct injection and multi-spark ignition. With even more power and better fuel economy than its predecessor, the new SLK engine generates 302 horsepower and 273 lb.-ft. of torque. Early next year the SLK250 will join the line-up featuring a new turbocharged 1.8-liter direct injection four-cylinder engine that produces 201 hp and 229 lb.-ft. of torque.